His friendship with Pasternak, at that time being harassed by the authorities, and his own innovative poetics made him persona non grata in Chuvashia. Even so, the fields and forests of his native land permeate his work, and he remained deeply attached to his ancestral culture, striving to give it a place among the cultures of the world. He translated poetry from many languages into Chuvash and produced an Anthology of Chuvash Poetry (published in English by Forest Books in 1991). Eventually, after the perestroika of the late 1980s, his work was acclaimed in his homeland and he became the Chuvash national poet. I’d love to read that Chuvash anthology; Chuvash is the most divergent of the Turkic languages, and there doesn’t seem to be a whole lot available on it (though there is a 17-volume Словарь чувашского языка = Thesaurus linguae tchuvaschorum [1928-50] by N. I. Ashmarin, not to mention a Chuvash Wikipedia). Despite some denial, a lot of people in Western Europe seemed reluctant to let Turkey join the EU partly on the ground that this country was populated by Muslims. Religion wasn’t specifically mentioned most of the time and it was said instead that they belonged to a different culture. Well, you wouldn’t deny the Turkish culture is different from Polish, German or French, would you? As to Chuvash (and other Muslim- and non-Muslim nations and small nationalities of Turkic origins) they were accepted, in some cases coerced, into the Russian federation long time ago. Why people don’t want to look into the huge lab experiment of the Soviet Union, always puzzles me. It’s been done! Go look what it resulted in! Of course not, Tatyana (even though these differences tend to gradually fade away nowadays). Just like I wouldn’t deny that the culture in Greece is not the same as the one in Ireland, both countries having nonetheless been integrated — without coercion, without much ado and without any catastrophic result so far — into the same entity called the European Union. The non-Indo-European Finns, Estonians or Hungarians are now members too and the vast majority of Europeans didn’t think it was such a big deal; even, I would believe, in a culturally very different Sicily, Portugal or French Guyana. There may be good reasons to be careful about Turkey’s accession, but some reasons sometimes look a bit far-fetched. I don’t really see the parallel that can be drawn between the USSR, authoritarian heir of a Russian empire which grew by force, and this EU club of which some want to become members. It doesn’t look as if there will be a European Chuvashia, a European Georgia, a European Chechnya that will suffer under some bully’s boot. On the contrary, the EU may die one day because of a certain desire to please too many of its sometimes demanding and selfish children. 1st. EU is an authoritarian entity. Often issuing ridiculous dead-tree waste directives to please France (mostly) at the expense of everybody else. 2nd. Russian Federation brought its Turkic members much more benefits than drew from them, from literacy and demolition of feudal/tribal society to industrialisation and social equality. 3. And I do hope the cultural differences will not fade away. I, for one, would hate to come to Greece and discover it became Turkey. Dead tree directives make the EU as authoritarian as the Soviet Union? You don’t have to be nostalgic for the Cold War (I’m not) or a specialist in Eastern Europe (I am) to have that assertion make you spit out your coffee. (sign to Reason — be on guard! I’m sure my right-wing anti-EU friends will love it. That being said, I would like to see you, Tatyana, give me at least one example of a dead tree directive. And speaking of which, what exactly does “Eastern Europe” and “Western Europe” mean in English? Sean, I’m not a specialist on Eastern Europe, I only lived there for half of my life, and I’m not exactly young. (Sorry about your coffee, at least I see you didn’t damage your keyboard). In this case, I’m afraid, years of experience weigh more than years of study. May be not AS authoritarian as SU (yet), but certainly coming closer and closer; as socialist and bureaucratic as my former motherland. And – forgive me – you’re telling me to be on guard? Is this a threat? Thank you for 5 min of pure merryment. I’m too lazy to look at other sources, but I’m sure with your interest you’ll dig up much more. So what do we have here? A story on cheeses which are banned in Europe – only, see, even the author admits that they are not. A story on the EU constitution, of which the author of the post is no fan. And finally, oh joy, another bit on the Muhammad cartoon controversy, where the author points out the some flaws of European diplomacy and European diplomats. I admit, it’s much better than the usual banana curvature or condom size story. But still, I have not seen one example of a dead tree directive. If you can come up with one, Tatyana, get back to me – with the CELEX numbers if possible. As a translator for the government, I have read and translated hundreds of pages of EU legislation and not once I have seen a piece of legislation I would consider useless. A lot of it was poorly written and illogical, but none useless. I guess you would find a piece of legislation on machinery parts completely useless. The folks at the factory down the road would think otherwise, not the least because it helped find new markets for their products. There are a lot of things to criticize about the EU – the bureaucrats, the agricultural policy… But the last thing the EU is is a clone of the Soviet Union. I don’t expect my right-wing friends to know that – they’re IT folk and economists with zero knowledge of history and related stuff. But you should know better. And with these words and my profoundest apologies for hijacking this thread, I shall return to my work. I’m new to this blog, and I should have looked first at reactions to your other comments to get a sense of your position in this community. Apologies to all for dignifying her post with spit coffee. I have lots of respect for Aygi for choosing to write in Russian. As a Chuvash poet, he would have probably taken a comfortable “ethnic poet” slot in the Soviet literary hierarchy and had no problem earning his daily bread. (My father told me of a lady who, in her younger years, had translated the Communist Manifesto into Chuvash and lived off the royalties to the end.) Instead, Aygi turned into a non-conformist Russian poet with all the well-known implications and complications. This said, I don’t find Aygi convincing, impressive or meaningful: he is too vapid and watery to me. On the other hand, I see no traces of tastelessness in his pieces — which means I won’t call them bad. Aygi’s popularity in Europe… why? I bet he seems easy to translate and his minority status may have helped, too. BTW, since we’re talking about Aygi, I recommend Vsevolod Nekrasov just for the sake of comparison. Sean, greasing to “community”? You are new to this blog, so I would bother suggesting you try to learn some manners instead of spitting…and not coffee this time. But, as Vrubel to Shalyapin’s reaction to his painting, I am glad reading this “communal disapproval” outburst of the expert on Eastern Europe: I would be upset if you liked me. Alesha, about reasons for Aigi’s popularity in the West – may I suggest his French connection helped, too? In many ways: for instance, as LH noted, to place his work in context of similar poets, and also, on a practical side? *bulbul – yes, I see now why you find EU papers useful; sorry, but you’re compromised by your affiliation. If, for example, you were one of those “clueless” economists who are not being paid by the government, I’d give more attention to this opinion. Btw, how do you think all those folks down at the machinery factory (about which, with my first engineering diploma and working experience, I feel I know a bit more than you) functioned before this wonderful institution of EU arrived on the scene, with all its’ sage legislature? And how US, Australia, HK, Japan etc etc are still functioning, without priceless EU’ directives? my original point was not the parallel between political systems/governments of SU and EU. Rather more along your line of comparison: Westernization of the Tutkic nation by including it into Western unity. Chuvashia and her numerous sisters (example – I’ve lived in Udmurtia for 5 years and had enough time to form an opinion) were fortunate to make at least 2-century leap in their developement by being included into Russian Federation economic and cultural circulation. Which, in itself, is/was on a much lower level than Western Europe – bit so is Chuvashia or Bachkiria compared to Turkey. So to see the long-term implications of such inclusion it would be useful to study this example before deciding on Turkey, rather than speculate on what might’ve happened. Sorry if I wasn’t clear the first time. Sean: I wouldn’t call this a community, just a bunch of people who drop by and chat, some more regularly than others. Certainly nobody should feel they have to wait around to learn the rules, of which there are none; I personally prefer an atmosphere of civility, but I don’t delete comments unless they’re really over the top. Tatyana is very touchy about anything that smacks to her of socialism (and with reason, having experienced it herself); she also enjoys a good argument, so she may phrase things more controversially than someone else might. I’m pretty sure she doesn’t think the EU is a Soviet Union in the making, just that it tends in what she considers a socialist direction. I think her main point, about the Westernization of less advanced nationalities, is an interesting one. Alexei: Thanks for the Nekrasov recommendation; I’ll have to look into him. Tat: yes, it could be that, once translated into French, Aygi sounds like a major French poet of his time. Not Bonnefoy, though — I have to demur here. “In 1972 he won a prize from the Académie Française for his Chuvash anthology of French poetry,” writes France. But how many people in all of France, indeed all of Europe, are able to appreciate the quality of a Chuvash translation of a French poem? How many people among the Chuvash themselves are? This had nothing to do with Aygi’s Russian output. Rather, it’s a question about the prospects of small, undeveloped languages. For Tatyana to give lessons in civility does strike me as a bit much. Sean and Bulbul have nothing to apologize for. I think Tatyan is overstating the “benefits” Russian rule brought to the Turkic peoples of the Russian Empire. First of all one has to discount the over 3 million Kazakhs that died in a state-caused famine in the 1930s. OK, arguably that was a result of Communism and not Russian imperialism. I take more exception to Tatyana’s claim that Russian imperialism resulted in the “demolition of feudal/tribal society to industrialisation and social equality.” Unfortunately that is not true for all the Turkic peoples. Feudal tribal society is alive and well in Turkmenistan and Uzbekistan and there’s not a lot of social equality on evidence. Like the British in India the Russians actively encouraged linguistic and tribal differences between related tribes as a “divide and conquer” strategy. “Industrialisation” was superficial and mostly for the benefit of the center – when Russia left Central Asia so did the educated engineers (the old Soviet joke – “the Russians have the golden hands, the Jews have the golden brains, the Uzbeks have the golden teeth)”. What’s left behind is a rapidly decaying education system, rampant corruption, industrial pollution and poverty. Would the Uzbeks and Turkmen been better off if the Russians had never colonized those lands? It’s hard to see how they could be much worse off. I do not mean to ascribe this exact position to any of the present disputants that might otherwise fit the demographic. No doubt everyone here was a “know-it-all” back then. But in the casual speech of middle-aged Americans and British, in a bar/pub say, I think that’s roughly it. I have no direct knowledge, but I sometimes fear that something similar is going on now, where “The Arab World” includes Persians, Turks, Chechens, Bosnians, and for all I know Indonesians. (But not Pakistanis or Bangladeshis, which just shows that these things are never as simple as they seem.) If so, I guess we just wish them a future where that seems as silly as the Europe thing. At least in America there does seem to be a tendency post-1991 to talk about “Central Europe” and “Eastern Europe”. “Central Europe” is basically the Catholic portion of the old Warsaw pact. 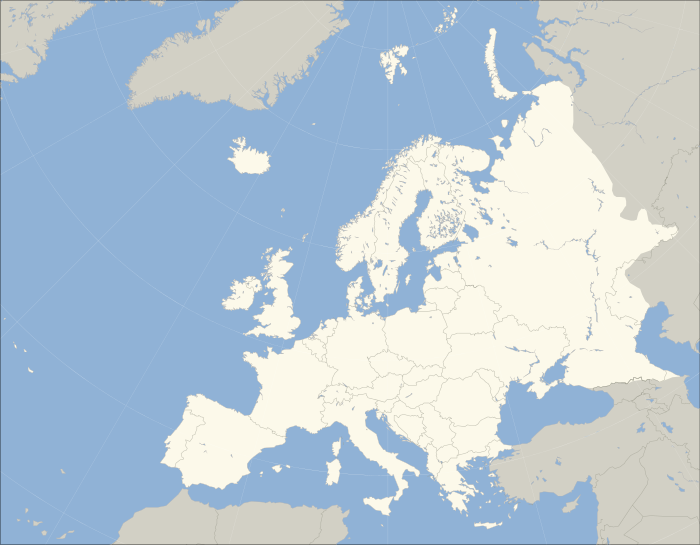 “Eastern Europe” is the Orthodox portion – Bulgaria, Rumania, Ukraine, Russia, Belarus. To be honest I’m not sure where the Baltics and ex-Yugoslavia are supposed to fit in although Slovenia seems to be a “Central European” country. The rest of old Yugoslavia and Albania are generally lumped together as “the Balkans” which implicitly keeps them out of Europe all together. And I think Greece is still “Western Europe” despite being Balkan, Orthodox and well to the east of most of Europe. Vanya, I disagree (naturally), on 2 counts. Russian imperialism, as you call it, did not discriminate between nationalities it governed. Russians in Saratov, Uzbeks in Bukhara and Bashkirs in Ufa, all had the same iron fist pressuring them. They had the same opportunities to rise above the limitations. And if anything, underdeveloped minorities had more funds pumped into giving them these opportunities than Republics/peoples with higher level of developement. Would Aigi (returning to the post that started this whole quite trivial discussion) had an opportunity to study French poetry if education in Chuvashia remained on the pre-Soviet level? Or even if Chuvashia was left alone and wasn’t included into Russian federation/Soviet Union? I don’t think so. Would you say Latvians or Ukrainians received more from Russian Federation than Uzbekistan? I think not. There was incredible money spent to present Uzbeks with Western system of secular education, elementary schools-to Universities where only medreseh(sp?) existed before. So much money on developing their own metallurgical industry. Their own textile factories. Their roads, infrastructure. Same with Tatarstan and Kazakhstan. I know all that from my own family’s experience, not from some textbook. It’s not hard to see would Turkmen or, say, Kara-Kalpuks were better off or not if Russians didn’t colonise them – look at Mongolia or Northern China. Successful, prosperous countries, right? It’s what they chose to do with all this wealth they were granted (yes, the deficit was in their favor, that’s why I use this word). And speaking of Jews – they/we were in much worse situation; if minorities were blessed with affirmative action’ programs which existed in the Universities and in workplaces in the whole country for the duration of 70+ years, Jews had to jump thru ever-increasing loops to get even in lower-level college. Again, I know it from mine and my family’s own experience. Don’t tell me it didn’t exist. That’s exactly what I meant when I said – former SU already performed that tremendously expensive and long-term lab experiment of Westernising undeveloped nationalities – and look at the results. Isn’t it cheaper to learn from someone else’s mistakes than repeat them on your own? So I guess I understand why Europeans hesitate on the issue of including Turkey in the EU. Second – you know, that damned British colonialism was really not such a bad thing, for India or Trinidad, or any country where Brits invested their blood, sweat and tears dragging undeveloped societies up. The practical results of their management, for some reason, are much better than those of the French or Spanish. Wonder why…Have you given that any thought? John Emerson, I see you took the words “enjoy my vacation” literally. You’re arguing past me not with me. Where to even start? I didn’t start calling it Russian Imperialism, that was its official name. You do remember the Tsar-Imperator? Apparently you agree with me that the results of the integration of Turkish Central Asia into European Russia didn’t work out that well, otherwise why are you saying Turkey should not be integrated into the EU? Yet at the same time you’re trying to say it was a good thing that Russia tried to “bring these countries up” even though you seem to admit the results weren’t great. I don’t disagree with you that European Russia transferred massive amounts of capital to those areas, I’m just saying there really isn’t a lot to show for all those years of investment in 2006. And no, as a matter of fact I don’t agree that Northern China or Inner Mongolia are worse off than Turkemenistan, quite the contrary. I lived in Kazakhstan for years – and yes, in Kazakhstan arguably Russian colonization was a benefit, the Russians left behind an oil industry, an infrastructure and a decent education system. But at the cost of millions of deaths, the degradation and near destruction of the Kazakh language, and the creation of a massive cultural divide between “city Kazakhs” and “country Kazakhs” that is still creating political tension. Maybe it was worth it in the long run but it’s certainly debatable. Tatyana, you are an expert at creating strawmen and assuming everyone who disagrees with you on one point must disagree with you on every point. Where did I criticize British colonialism in India? The divide and conquer technique was not exactly a state secret, every good Victorian knew that playing tribes off each other was the only way for a small island to rule an entire subcontinent. Actually I think the British Raj did do a lot of good for India and was better than most Pakistani and Indian governments over the last 50 years. I agree that British colonialism was much better than the French and Spanish sort, it was also better than the Russian sort. No doubt Kazakhstan and Uzbekistan would be much better off today if they’d fallen under British protection in the 19th century rather than Russian. I’m glad we agree on some things. I apologize if I misunderstood your words “Like the British in India the Russians actively encouraged linguistic and tribal differences between related tribes as a “divide and conquer” strategy” (right after your disapprooval of said Russians) to be a criticism of the British colonial policies. I can’t fathom how else this sentence could be construed, though. Blame it on me being unused to academic sophistry. Speaking of strawmen erection: where did I say I’m against the acceptance of Turkey in the EU? All I said (again), that it would be more efficient if instead of speculating on possible scenarios there would be some effort of studying the existing experience on example of adaptation of Turkic nationalities into Russian Federation. Not related to the topic at hand, but since you touched on it: division between “city Kazakhs” and the “country Kazakhs” is not entirely attributable to the policies without. I would say it’s more universal phenomenon, no matter what nationality is involved, and is rooted in natural progression in course of industrialization. I can answer to all your other points, but the thread, I’m afraid, is already went too far from the original post. Where, if you don’t mind me asking, did you live in Kazakhstan? Me-in the Eastern Kazakhstan, on Irtysh (or rather – Bukhtarma), and in Ust’-Kamenogorsk. And , of course, I can’t very well claim that I remember Tzar-Imperator. But thanks for the laugh. I lived in Alma-ata and Chimkent. I’ve been to Ust a few times and actually had a decent time there. Especially when coming from Chimkent Ust always seemed fairly green and pleasant. I still don’t think my original post was quite as critical of British colonial policy as you seemed to take it. My basic point was that feudal and tribal divisions were not eradicated (either in India or Central Asia or Africa) but were consciously exaggerrated by colonial rulers, which seems to me to be a simple fact. Whether you construe that as a positive or negative development is up to you but it seems to me difficult to argue that the opposite took place. I apologize for misconstruing your position on Turkey. I do agree with you that the EU as an entity does more harm than good and assumed that on that basis you would be opposed to expanding the monster to even more countries. It makes me so proud to hear words pleasing about Aihi, my compatriot and most awe-inspiring and exciting poet born to Chuvash and world literatue. Though most of his most appreciated poetry is written in and translated from Russian, verses in Chuvash is what enchants and fascinates me. The sound is so soft, the light is so suttle, the music of it is so agreeable – I drown so helplessly in it and fall in despair and dismay but so satisfied!!! cuz I JUST LOVE IT. ham ta sismesĕreh — şapla. ham ‘da zismezĕ`reh — şhap`la. not sensing myself – so. And on Russian policy of opressing minorities. I don’t agree. The situation has been that the Chuvash language is dying and the nation will soon vanish as we are only able to identify ourselves in the past, the future of the Chuvash blurred and uncertain. We now can’t even elect our President, he’s appointed by the Kremlin. And no one will ever be able to stand up against it like they did throughout XVII-XIX centuries, in the early XXth century, and in the time of collapse of the Soviet Union. And in Shupashkar (Cheboksary) the capital of the Chuvash Republic things are even worse for the Chuvash for the authorities are corrupt and act as if pro but actually contra Chuvash language, culture, identiy. So far, the Chuvash could find themselves more comfortable out of Chuvashia. Thanks for the Chuvash poems, Victor! Well, of course one can be of any ethnicity and still be French, just as one can be of any ethnicity and still be American. Here with the Chuvash we have Turkic people that are Christians. If they had been candidates in place of the Turks, would it have been easier for them to “join the club”? Turkey is at least partly in geographical Europe, whereas Chuvashia, like Australia, is not. That damned British colonialism was really not such a bad thing, for India or Trinidad, or any country where Brits invested their blood, sweat and tears dragging undeveloped societies up. Colonialism imprisons the mind. But the colonized mind often takes a deeply dialectical form. One of the forms that the colonized mind takes is rabid anti-Westernism: you judge the world in terms of having been dominated by the West for a hundred years or more, and this can become the overarching concern, drowning all other identities and priorities. Suddenly, for example, activist Arab-Muslims might become persuaded that they must see themselves as people who are trying to settle scores with the West — and all other affiliations and associations are unimportant. The whole tradition of Arab science, Arab mathematics, Arab literature, music, painting would then have lost their informing and identifying role. That is the result of a colonized mind because you forget everything else other than your relation with the former colonial masters. I would link the outburst of some of the violence we see today to a deeply misguided reaction to colonialism; it is certainly not unconnected with colonialism. When the Muslim kingdoms ran the centres of civilization in the old world, from Spain and Morocco to India to Indonesia, there was no feverish need to define yourself in negative terms, as your being against something, seeing yourself as what my friend Akeel Bilgrami calls “the Other” (“We are not Western!”). This is because being Muslim or Arab at that time involved a very positive identity. They had a philosophy, they had an interest in science, they had interest in their own work, they had interest in other people’s work. The Greek works, such as Aristotle and Plato, survived in the Arab world in a way they had not in Europe. Hindu mathematics became known in the Christian West mainly through Muslim Arab authors who translated them from Sanskrit, from which Latin translations were made. At the time when the Muslim kingdoms were in command over the world, there was no need for them to define themselves in negative terms as “the Other.” We see a similar attempt to raise the banner of “Asian values” today—it was very strong in the 1990s—when East and Southeast Asia try to “Westernize” feverishly. These are particular reflections of the colonized mind. I [Hat] wouldn’t call this a community, just a bunch of people who drop by and chat, some more regularly than others. Perhaps it wasn’t a community twelve years ago, but by Ghu and all his angels, it is one now. Well, Chuvashia, unlike Australia, is certainly west of the Urals. I agree with Rodger C: it most certainly is. The easternmost point on the map is in Orenburg province of Russia. If you Google map it, you’ll find an interesting microregion called “Europe on Urals” – a string of former Cossack towns named after victories of Russian arms in Europe – Kassel, Fère-Champenoise, Paris, Trebbia, Katzbach, Novi, Breda, Aland, Brienne, Kvarken, Adrianopol, Kulm, Navarino, Warsaw, Arcis-sur-Aube, Leipzig, Varna, Berlin. The division between Europe and Asia was determined without too much care as to the cultural affiliations of the people immediately on either side. I remember a test question in ninth grade World History, where we were supposed to name the geographical feature marking the boundary between the continents. I think they were just looking for the Ural Mountains as an answer, but I wrote: Ural Mountains, Ural River, Caucasus Mountains, Black Sea, Bosporus, Sea of Marmara, Dardanelles, and Aegean Sea I was mostly just showing off, but listing all those elements of the Europe-Asia border did set me thinking how arbitrary some of them were (particularly the Ural River, and the Caucasus, which lacks well-defined borders). I also remember when I first read The Endless Steppe (subtitled A Girl in Exile* in my mother’s copy, which she must have read in college when if first came out in 1968) by Esther Hautzig; when the train her family is on passes over the Urals, young Esther, who was only 10 at the time (1939), looks expectantly out of the windows, hoping to see some profound change now that they have passed over into Asia. But it all seems very much the same as Europe. A year or two later, she does get to see the Asiatic market of the village to which they have been sent, but it is still something of a letdown for her. Asia is never as exotic in reality as she imagined it. *When the book appeared on my high school reading list (years after I had already read it), it was listed as The Endless Steppe: Growing Up in Siberia. I thought the renaming was borderline offensive, playing down the fact that Hautzig and her family had all be forcibly deported from eastern Poland in 1939. On the other hand, I do not think that the author even once points out the fact that, had her wealthy Jewish family not been deported by the Soviets when they were, they would almost certainly have been murdered by the Nazis two or three years later. There’s a (relatively) easy way to determine the border that is purely geographical and not at all (…or, at least, not much) arbitrary – the so-called prominence lineage cells; the problem with it is that the boundary comes out as “Baltic Sea, Volga-Baltic Channel, Volga River, Caspian Sea, Kuma-Manych Depression, Sea of Azov, Kerch Strait” (and the Black Sea, etc, thereafter), which somewhat uncomfortably puts all of Scandinavia in Asia. Even for the traditional boundary, “Ural Mountains” isn’t quite right either; at the extreme north (near Konstantinov Kamen), the traditional Europe-Asia boundary continues directly northeast to the Kara Sea (about 30 miles away at this point), while the actual mountain range turns sharply northwest and becomes Pay-Khoy. West of the Urals it may be, but east of what everyone agrees is the Asian part of Turkey it unquestionably is. Indeed, it is north of western Kazakhstan, which if it is European at all is only so on a technicality. Kazakhstan west of Ural river was settled by Kazakhs only in 1801. The boundary between Europe and Asia is a whimsical construct. It’s never been supposed to literally, strictly divide the east from the west. In the Black Sea and the Caucasus, the border runs from the west to the east so the resulting division is north-south. Novgorod and Smolensk are both east of Antalya and Eskişehir, and so is much of North Karelia, a region in Eastern Finland. @Brett: it’s a little unusual to see steppes associated with Siberia: to the Russian ear, Siberia conjures up the taiga. Geographically, of course, a sizeable chunk of Siberia is a steppe. The Wiki entry on the book mentions Rubtsovsk in the Altai krai, which was founded late in the 19th century by settlers from the black-earth parts of European Russia. It’s only 40 km from the Kazakh border and 180 km from Semipalatinsk (Semey). A discussion of the geographical boundaries between Europe and Asia, started by the Greeks and continued in medieval western Europe, was of little political and cultural signiﬁcance for Russia before the early eighteenth century. Until then, the dominant European perception of the Tanais or Don as marking the boundary between Europe and Asia, placing a large portion of the historical core of Muscovy in Asia, was not a matter of particular concern, as is reflected in sixteenth- and seventeenth-century Russian cosmographical works. The situation changed with Peter’s Europeanising reforms, which brought with them the perception that Europe was culturally and politically pre-eminent. It was the champion of Peter’s policies, the historian Tatishchev, who in the 1730s, after affirming Europe’s superiority over other parts of the world, suggested a new boundary between Europe and Asia along the Ural Mountains. This new geographical vision placed a large part of Russia within Europe and stressed the similarity between European empires, where the European metropolis and colonies were separated by a natural boundary (water), and Russia, where this boundary was a mountain range. At the very same time, a Swedish officer, Johann von Strahlenberg, ensured that the boundary through the Urals was accepted in Europe at large. You can’t get away from Ἀσία originally meaning ‘the eastern shore of the Aegean’ (possibly < Lydian Assuwa, the name of a confederacy of states conquered by the Hittites in the -15C. Yes, that’s the etymological fallacy. But randomly moving the line hundreds of miles to the east when going northward just to satisfy Russia-internal concerns makes little sense. Huh? Once you’ve said “that’s the etymological fallacy,” you’ve said it all. Everything after that is nonsense. You can put the dividing line wherever you like, and if people accept it, that’s where it is. During both world wars, German propaganda often portrayed the Russians as brutal “Asiatic” primitives. And among the Slavic inhabitants of the western Russian Empire, there were similar feelings about the peoples further east. I remember a anecdote (recounted years later by, I believe, Khrushchev) about an event with Stalin, where the Boss made an uncharacteristic explicit remark about planning to have some particular individuals butchered. Khrushchev, at the time one of the more junior Soviet potentates, remembers a more senior official sitting next to him (Voroshilov, I think) telling him not to take Stalin’s outburst too seriously; it was just his crude, Georgian, Asiatic sense of humor. See also: the nasty Asiatic vowel. If you start defining Europe by cultural prejudice, then there’s no stopping moving the border – Adenauer’s “East of the Elbe, Siberia begins” and all that.